Less than a fortnight after rejecting the Adarsh scam report, Maharashtra cabinet on Thursday decided to partially accept recommendations of the judicial commission, announcing action against indicted bureaucrats but appeared going soft on politicians named by the commission. "In case of political patronage, the commission did not draw the conclusion that they indulged in a criminal act," Chief Minister Prithviraj Chavan told reporters after the cabinet meeting. "In case of political patronage mentioned in Adarsh panel report, we found no criminality was revealed," he added. The review of the state cabinet's decision of December 20 followed Congress vice-president Rahul Gandhi's disapproval of the decision of the state government to reject the commission report. Chavan also made it clear that no separate FIRs will be filed by Maharashtra government against those figuring in CBI FIR or charge sheeted by the agency. The report accuses four former chief ministers – Ashok Chavan, late Vilasrao Deshmukh, Sushilkumar Shinde and Shivajirao Nilangekar Patil of political patronage. To a query on how Ashok Chavan can escape scrutiny as a clear case of quid pro quo has been established against him in the report, the chief minister said, "CBI has already filed a FIR and charge sheet." "Those persons found guilty of quid pro quo and those against whom an FIR and charge sheet has been filed... there, as per the Supreme Court ruling in the past, that in case of same crime two different FIRs need not be filed," Chavan said. Asked if the Maharashtra governor had gone by the state government's decision before rejecting CBI's plea seeking prosecution of Ashok Chavan, the chief minister said, "I cannot discuss the conduct of government here." The 12 officials named in the report will face departmental inquiry for violating the service conduct rules, he said. The cabinet has also decided to initiate proceedings against 22 benami transactions, he said, adding the commission had recommended action against allottees of such flats as they were found to be in violation of the Benami Transactions Prohibition Act. 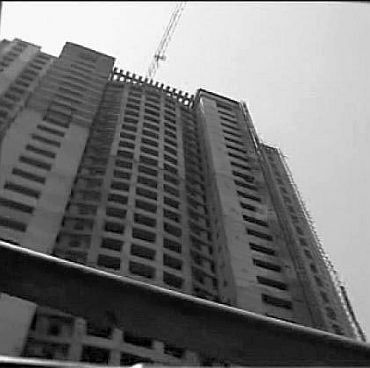 "The CBI is at present looking into the 22 benami flats that were mentioned in the action taken report and how these flats were acquired. The CBI is also enquiring if this case has an element of quid pro pro in it," Chavan said. About two Nationalist Congress Party politicians Rajesh Tope and Sunil Tatkare, he said, "It was found that these two (then ministers of state) had not even seen any (related) file." The government, he said, has also decided to initiate action against 25 flat owners who have been found ineligible including diplomat Devyani Khobragade. The diplomat is at the centre of a row between India and the US after her arrest and ill treatment on charges of visa fraud. "The action taken report had also looked into whether the necessary permissions were taken. The action taken report suggested that necessary permissions from the central environment ministry were not taken. "The action taken report said that this was an unauthorised and irregular structure and should be demolished. The report suggested that the manner in which the land was acquired and the building was built was completely irregular and unauthorised," the chief minister said. Asked if it was not a criminal act that Ashok Chavan took some decisions by virtue of which his family members got flat in Adarsh society, the chief minister said, "The report is in public domain. Read it and speak only about what commission has said. "I have already said that persons against whom CBI has filed FIR and charge sheet... the state government is cooperating fully. We have given them all files. We have suspended the officers they wanted us to suspend. I have only put forth a legal point that two FIRs cannot be filed for the same crime," he said. Had RTI Act, brought by us, not been in existence, all such facets whether right or wrong, would not have come to light, he said. The judicial panel has already held that the land on which the 32-storey building stands belongs to Maharashtra government and that it was not reserved for Kargil widows or war heroes. That part of the report has been accepted by the government.